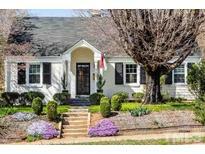 Below you can view all the homes for sale in the Hi Mount subdivision located in Raleigh North Carolina. 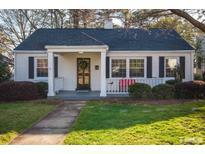 Listings in Hi Mount are updated daily from data we receive from the Raleigh multiple listing service. To learn more about any of these homes or to receive custom notifications when a new property is listed for sale in Hi Mount, give us a call at 919-928-5027. Wonderful .31 acre lot. Fence installed 5/15/19 MLS#2246809. 649. There is a master suite addition with coffered ceilings in the bedroom and french doors to the back deck, huge walk-in closet, stunning master bath with floor to ceiling tile in the shower and a separate jetted tub! MLS#2246328. 2017. Ask listing agent for full list of updates. A MUST SEE! MLS#2244866. 2016. FamRoom: Cstm Srrnd GasLog Fireplace w/Mantle & Blt Ins, Slider to Rear Screened Porch & Patio! MLS#2244512. 1128. Note: Interior fotos are prior examples of Grayson Homes' quality work (not the same floorplan). MLS#2244329. 4505. With a little imagination, this home could be reconfigured and transformed into the next stunner and there is not a better place I can think of to do it! Joyner, Daniels, Broughton schools. MLS#2237495. 813. Carport and plenty of off-street parking. 1-year warranty! MLS#2236772. 2016. Note: Interior fotos are builder examples only- not the same floorplan. MLS#2233362. 4505. This is an incredible opportunity in the 5 Points area. MLS#2234080. 1128. 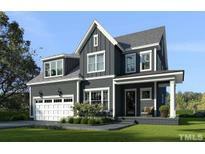 Oversize Bedrooms feature custom built-in closets, ample storage & huge attic. MLS#2229999. 1502. Bring your buyers and then your offer! MLS#2229346. 3481. Note: Interior fotos are prior examples of Grayson Homes' quality work (not the same floorplan). MLS#2229186. 4505.